We have covered a lot of ground so far, and we have touched on the Kerberos conversations that go on, but let’s take a deeper look at exactly how these messages are made up and how they are protected. 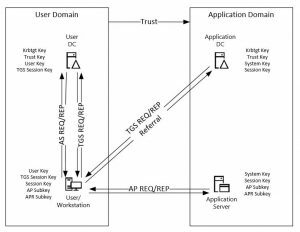 Most often we see Kerberos communication protected by AES256 based encryption, which is negotiated between the KDC and the client. However, by default Windows Domain Controllers support RC4 as an encryption method, and the bad thing about this is that the encryption key is the NT Hash itself… This means that anyone with another user’s NT Hash can get a Kerberos ticket as that user and therefore access any resources as that user. As long as you don’t have any pre-Vista/2008 OSes and you don’t have any applications that rely on RC4 then you can look to disabled this via Group Policy (Computer Configuration > Policies > Windows Settings > Security Settings > Local Policies > Security Options > Network Security: Configure encryption types allowed for Kerberos) Note that DES is disabled by default since Windows 7, Windows 2008, however RC4 is still available. Of course before you make this change in production you need to test this change in a non-production environment first. 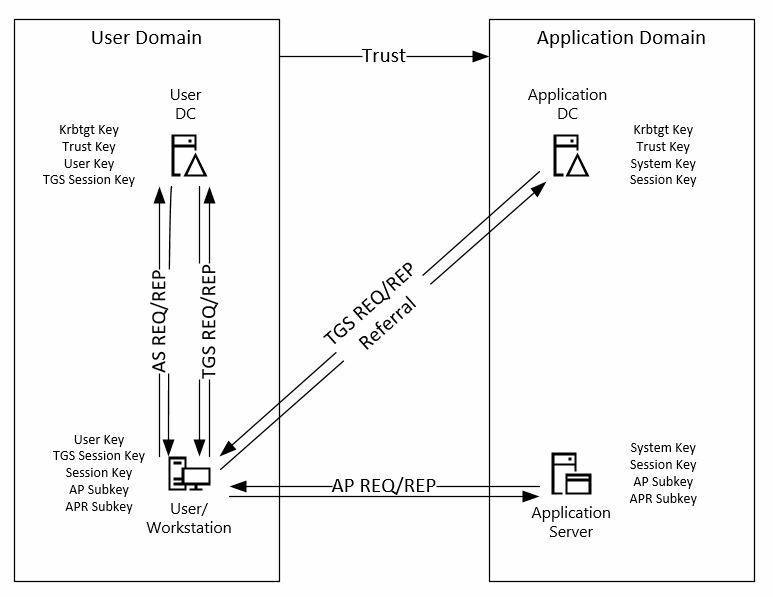 At the end of this conversation the client has a TGT that is encrypted with the krbtgt secret key, and a TGS Session Key that can be used to secure the Ticket Granting Service flow. Right so that covers the basic Kerberos flows in a little more detail. Now let’s wrap up this series by going back to our original questions and answering them to the best of our ability.